Lt. Peter Ricci, Fire Prevention Officer of the Lexington FD, MA, is one of the many users of Modeltech’s new fire safety prop in the New England area. Peter is so efficient in his presentation that we decided to film the master at work. Video producers in Woburn, MA and Worcester, MA have worked with us to prepare a training video, supported by a teaching outline. Congratulations to our friend Peter: thank you for your skills and commitment! Lt. Peter Ricci is so efficient in his presentation that we decided to film the master at work, preparing a training video with teaching outline. Lt. Peter Ricci inviting a parent to extinguish the fire in the pot. 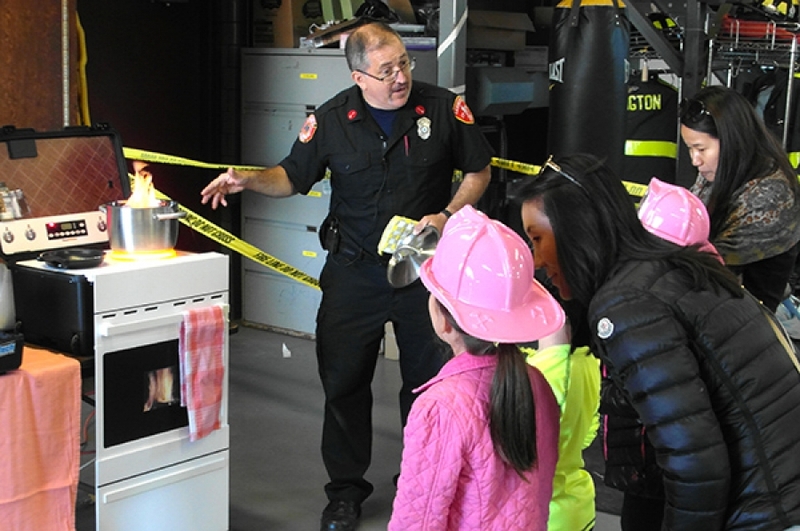 Lt. Peter Ricci captivating a young audience using the ‘Hazard House’ Compact model and Hazard Kitchen fire safety awareness props at the FD’s Open House.